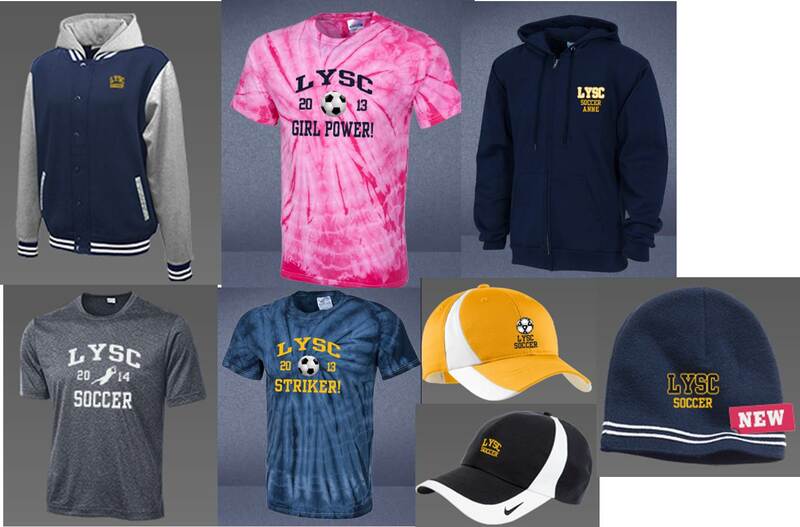 LYSC has partnered with two organizations to help you get all the LYSC gear you need! Main Street Sports to offer our members high quality merchandise, online ordering and direct shipping. They also have the handy soccer travel bags that are quite popular with the boys and girls! Click the link below to see what's available now! Also, LYSC has a shop at mylocker.net! Choose from hundreds of items for the whole family, all of them fully customizable. A few of the items are shown below as a sample.